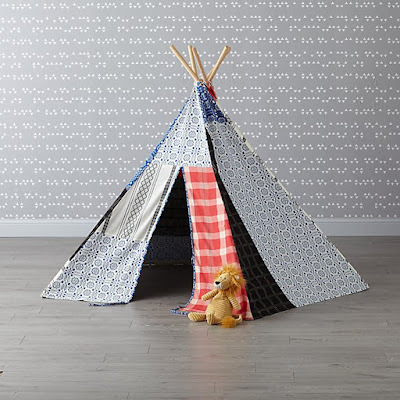 Ace & Jig x Land of Nod is Here! 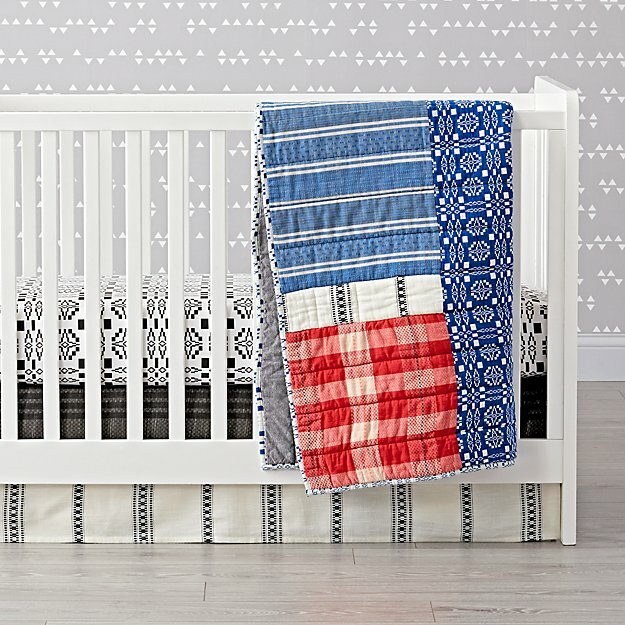 Dear Cary & Jenna: If you are reading this, please please please make Coverlet/Cardiff/Sampler sheeting sets for those of us who have aged out of diapers! Desperate pleas aside, the much-teased Ace & Jig collaboration with Land of Nod is now available online! 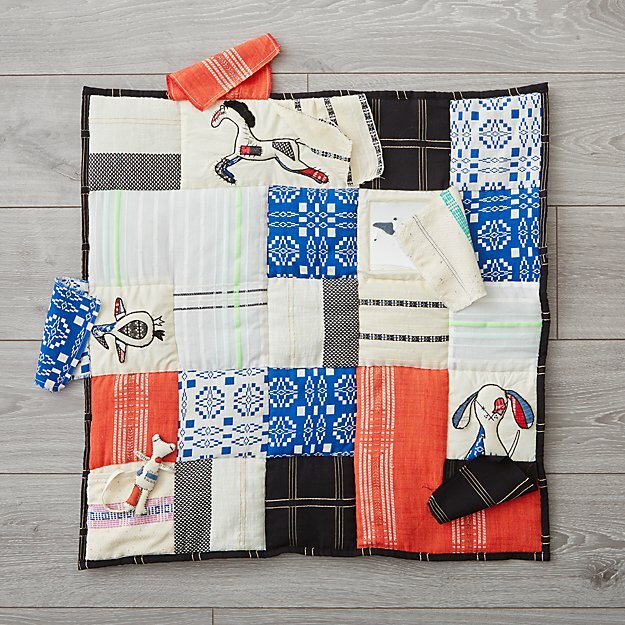 Though it doesn't deliver on the much-desired adult-sized quilts we've all been craving, there are excellent pieces to be found for parents of kiddos and childless adults alike. 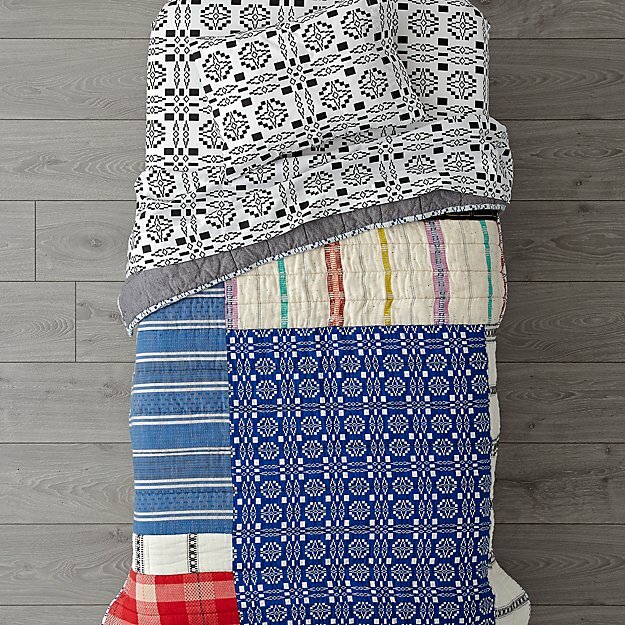 And tons of DIY inspiration for those scraps we've all been hoarding! I've collected them all in a handy Pinterest board for future ogling, but you can find my personal faves below! Note: All photos/videos are via Land of Nod, but if you use this site as a an image source, please credit "@landofnod via @anotherthread" so that others can find their way here! 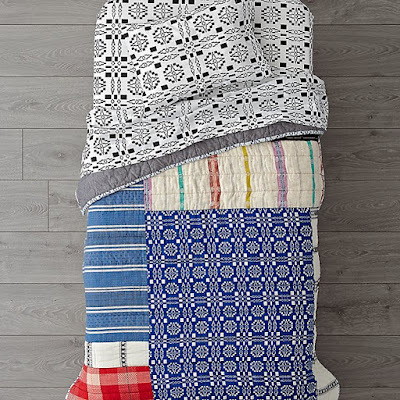 As you have likely surmised from the above cry to the goddesses of Ace & Jig, the bedding collection was certainly the most tempting of all of the items for me. 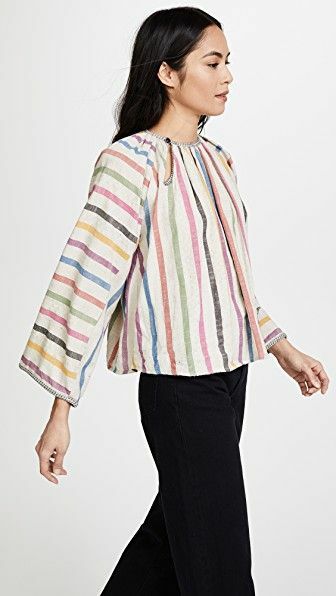 No surprise that they already seem to be going quickly, because if these were adult-sized, they'd be on their way to me immediately! I mean, just look at that quilt! Right? Gorgeous! 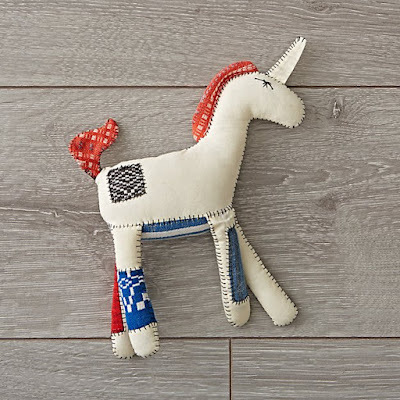 All of the rattle plushies are terribly charming, but I like to think that this unicorn rattle/plush is a little wink at those of us in the #aceandjig community, who are constantly ISO unicorns. Here ya go, courtesy of Karoline Dubin! 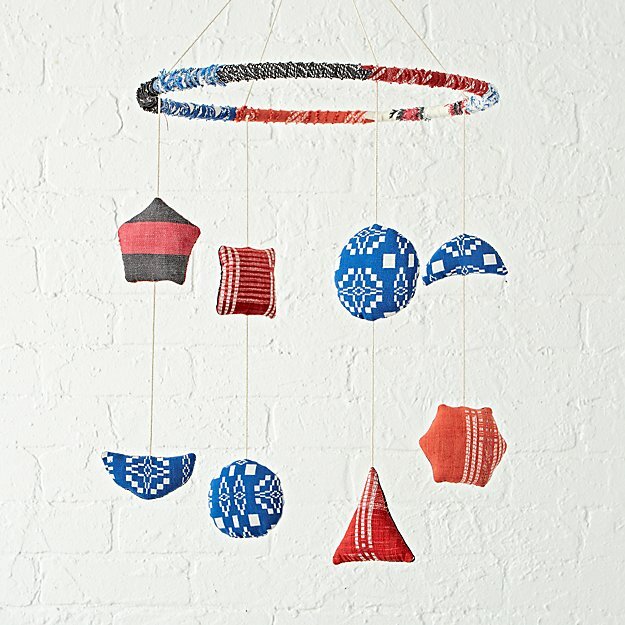 I am seriously considering getting this mobile for myself, to use as quirky room decor. This also makes me want to make little plush shapes out of Ace & Jig scraps, to be strung into a garland. Any talented sewers out there want to give that a try? 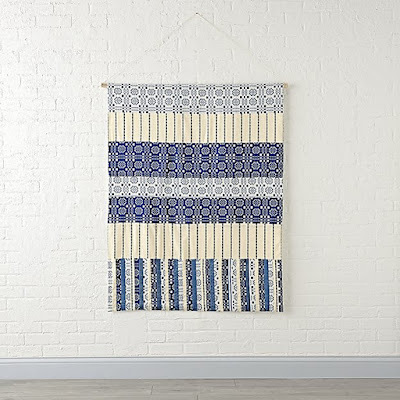 I very nearly bought this wall hanging, but then I saw the shipping cost, and decided I didn't really NEED it. Still, I think it would make a lovely addition to most homes. 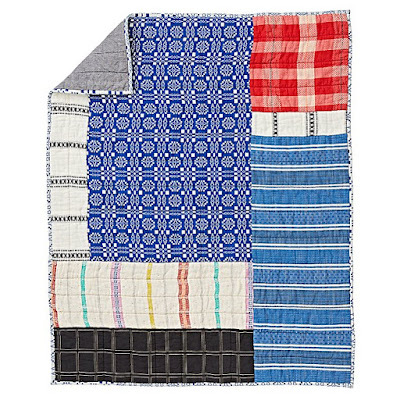 It's beautifully and intricately patchworked. Oh, would that I were still young enough to be mentally stimulated by this charming play mat. There are some lucky babes out there! And of course, there's the teepee that sparked a bit of controversy on Instagram around cultural appropriation. I will decline to comment on that, because cultural appropriation is a complex topic, and I am not totally sure how to approach it in a universal way that might do it justice. So suffice it to say that I support both Ace & Jig in the creation of this product as well as the Native Americans who inspired it. The full collaboration can be found at Land of Nod. All images are from Land of Nod. 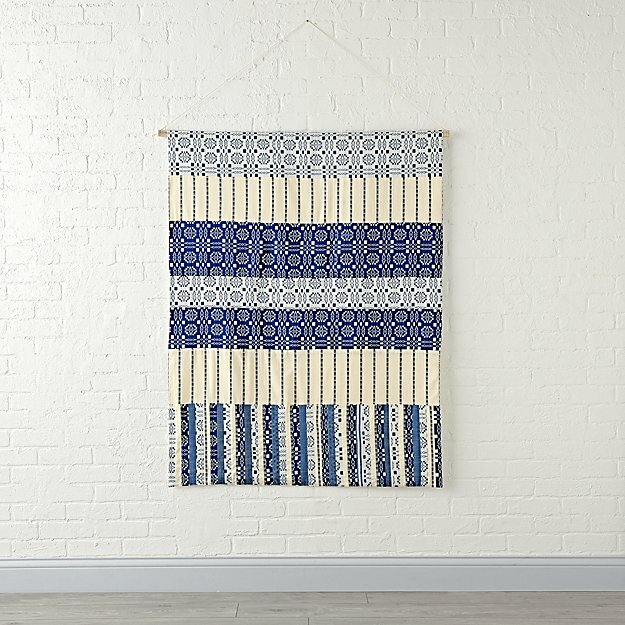 If you sign up for the land of nod mailing list the 10% coupon almost covers the crazy shipping for the wall hanging, FYI. Also - it's not a teepee, it's a cat tent.